Anthony always strikes first nomatter what and the opponent's pokemon cannot move for 10 turns. 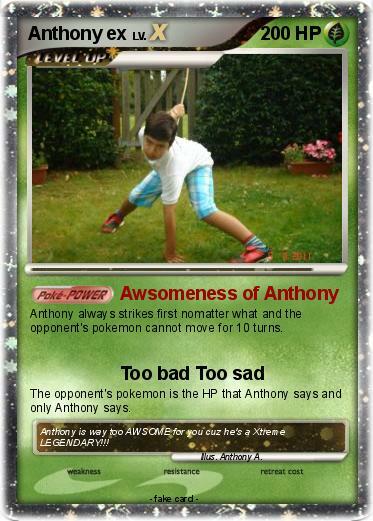 The opponent's pokemon is the HP that Anthony says and only Anthony says. Comments : Anthony is way too AWSOME for you cuz he's a Xtreme LEGENDARY!! !